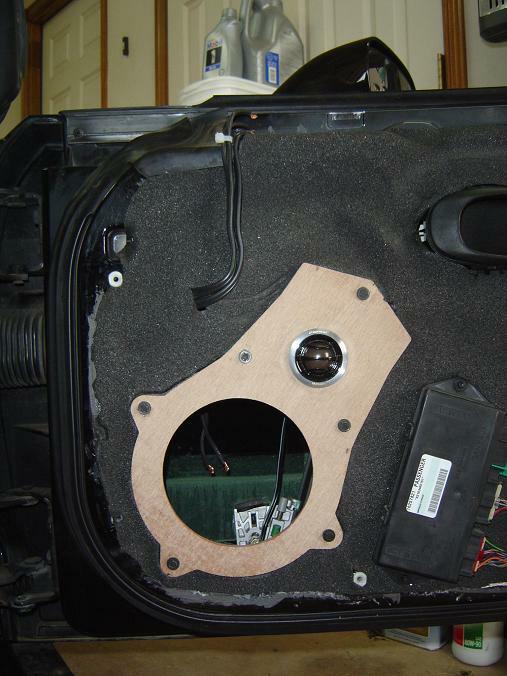 So you're looking to upgrade the speakers in your C5 / C6 or Z06 and you need a way to mount an aftermarket driver in the stock openings. You could use plywood and make the shape yourself, but if you're really into audio then you'll be concerned that wood will absorb moisture and may not be stiff enough to get the most out of the drivers you just dumped a TON of money on. 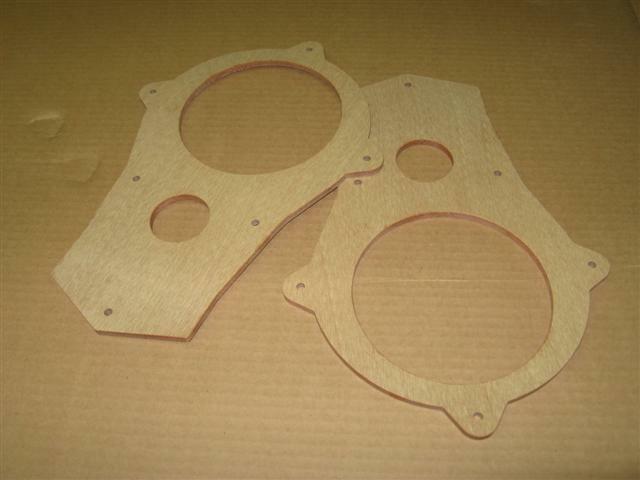 We have exactly the what you need, an exact fit, CNC machined mounting plate made of 5mm (approx 0.205") thick high pressure canvas phenolic laminate. This premium material is extremely dense which makes it very moisture resistant and also very stiff, ready to handle hardest hitting drivers. C6 = The set consists of 4 pieces, 2 each for the 10" sub opening in the door and 2 for the 3.5" midrange mount in the door panel. 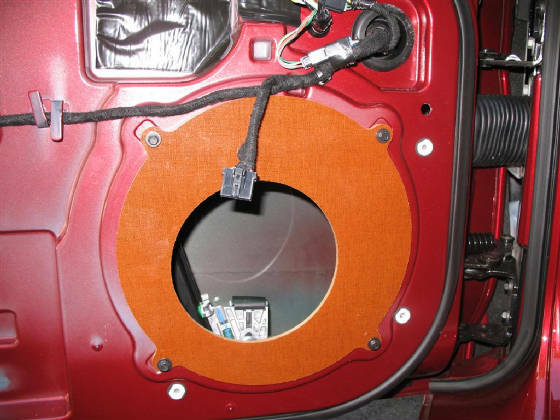 The 10" has a 143mm (5.625") hole that is offset 1/2" down and over, to maximize the exposure of a driver to the door panel grille. The 143mm (5.625") hole will accommodate almost any 6.5" driver, but check the driver's specs to make sure the speaker will pass through the opening and rest on its frame. 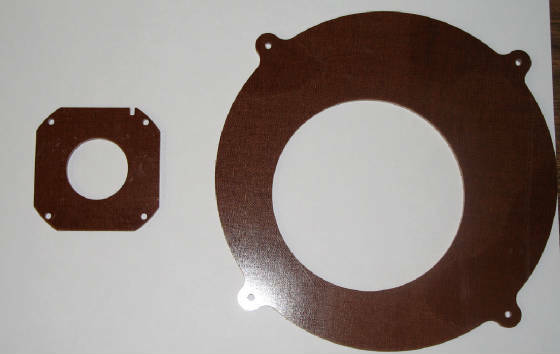 The 3.5" plate has a 46mm (1.811") hole to accommodate many aftermarket tweeter pods. All you need to do is drill holes to mount your specific speaker. 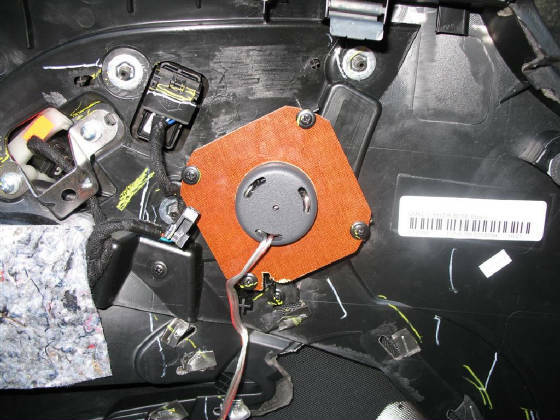 The material will hold screws better than wood so you can use self-tapping screws for mounting or drill through for the a clip or nut on the back side. Shipping on these is with in the continental 48 states only. If outside that area, please email for the rate.